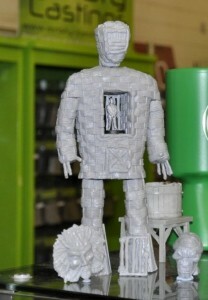 Ainsty Castings has a new Wicker Man model available over in their webshop. Aaah! The bees! The bees! Standing taller than a very tall thing, with room inside for a 28mm mini based on a 25mm base (not included) Alan has two head variants plus a Green man mask which fits on the Wicker head. suitable for any period from Roman (so i'm told) up to present day and any number of fantasy settings.